One college on the campus of the University of North Carolina Charlotte was in the process of hiring 11 new faculty members, but hadn’t determined where they would sit. At the University of Colorado Boulder, a number of nonacademic functions were located on the main campus, and there was a need for more student study space. Faculty in a science department at Queensborough Community College were asked to consider holding both labs and lectures in the same space. These scenarios have become more common as many institutions decide that building more space isn’t an option. “The goal is to better utilize existing space, because there are no plans to add buildings on campus,” says Sherri Newcomb, senior vice president and chief operating officer at Queensborough Community College, Bayside, N.Y.
“No one wants to give up space,” Newcomb concurs. Nevertheless, these institutions and others have put strategies and structures in place to make the processes associated with strategic space management more palatable. The assessment’s findings centered on key themes or areas of challenge: centralized versus decentralized control and scheduling of space; need for a centralized space data system; and lack of a formalized governance process for space allocation decisions. Examples of findings included the fact that: (1) department-scheduled classrooms had less than 50 percent utilization compared to 70 percent utilization for centrally scheduled classrooms; (2) 35 percent of undergraduate lecture and seminar courses were outside the standard block schedule; and (3) prime academic space was being occupied by administrative functions that could be located elsewhere. “Each college had its own way of tracking data, the campus had its own way, but not all the data matched—and in some cases data were missing,” says Chris Ewing, assistant vice chancellor for planning, design, and construction. By completing the assessment, the university was able to identify an appropriate technology solution and plans to roll it out gradually over the next couple of years. The Science Space Utilization Study also confirmed that even with a new science building slated to be complete by 2020, the campus is in need of more academic space given the growth in enrollment. UNC Charlotte is the fastest growing university in the state. Student enrollment has increased by more than 32 percent since 2005, from about 17,000 in 1999 to almost 28,000 today, and the growth is projected to continue. The interest in the STEM fields is driving enrollment growth in the science and engineering majors. For instance, notes Horne, analysis of the science instructional labs showed that some general science labs have a seat occupancy ratio as high as 83 percent, and labs are scheduled throughout the day. “Both of these measures indicate that we need more space for science instruction to serve our students,” Horne said. A similar study of non-science space on campus is planned for this fiscal year. Adding assessment capability. The University of California, San Francisco (UCSF) also found itself limited in its ability to work with existing data in determining and implementing a space use strategy. “We determined that our data were often incomplete or only partially accurate,” says Lori Yamauchi, associate vice chancellor, campus planning. Consequently, the university’s senior vice chancellor for finance and administration decided to fund the development of a new space management system, which is more robust than its previous software. “I was then tasked with hiring staff to build and implement it,” Yamauchi explains. A new space analytics unit was created within the campus planning department, says Yamauchi, with a director and two analysts to work with UCSF’s program management office to scope, design, and build the new system. “After our space governance policy was established and we were trying to implement metrics for space utilization, it became clear that existing data painted an incomplete picture of space use,” says Yamauchi. The new software/system was available for use in June; departmental space coordinators have been trained to use it; and they are checking and verifying the accuracy of the data in the system, which will be summarized in a space analysis report to be submitted in December to the University of California President’s Office. The report will include information on the amount of space UCSF owns and leases, types of uses, and the capacity of the space to support different activities. Armed with analytics, institutions are able to establish guidelines for space use and processes for the necessary and difficult decision making of facilities and space assignments. The University of Colorado created a similar structure in the form of a space utilization steering committee. “It’s really important to ground people about why changes are being made, for a larger purpose of student success,” Ho-a says. With this goal in mind, “It was a collective decision that to be successful we needed to pull folks in from all parts of campus. The composition of the original steering committee was deliberate. We were looking for individuals who would be influencers, but we also wanted naysayers, who would challenge us to find the best solutions.” The committee has 20 members and meets monthly. Several committee subgroups focus on specific areas, such as technology and data, student success, and administrative success. The policy writing subgroup, which issued its first policy last month on the scheduling of instructional space, is the most active. To set a different tone for thinking about space on campus, a space committee was established at UCSF in 2012. “Once the committee was in place, we developed a space governance policy,” Yamauchi says. “We had a space policy previously, but it wasn’t as clear in articulating the underlying values that we’re trying to convey.” Those values include: (1) uniform, equitable, transparent, and effective governance of space; (2) accountability for use and economic performance in that space; and (3) nonpermanence of space assignments to allow for flexible and optimal deployment of space. As illustrated by space management efforts profiled here, stakeholders on campuses take their space very seriously. Since this is the case, these initiatives need to be approached strategically in terms of staffing and communicating about them. Here are some strategies that proved successful on these campuses. Dedicate staff to space management. “I could see that the project could have failed if we hadn’t done exactly what we did by dedicating a person to the project,” Newcomb emphasizes. “Can you afford not to hire someone? Think of the return on investment.” Within McCormick’s organization, there is a specific group of seven staff dedicated to working on space management. These administrative costs are part of his departmental budget, but this group’s time is not charged to specific projects. Apryl Motley, Columbia, Md., covers higher education business issues for Business Officer. At the University of Colorado, findings centered on centralized versus decentralized control and scheduling of space; need for a centralized space data system; and lack of a formalized governance process for space allocation decisions. With sustainability as one of our key values, optimizing building performance is a priority of Nova Scotia Community College (NSCC), Canada. Good space utilization ties into our sustainability goals. Since 2008, we have reduced our energy use by 22 percent and our greenhouse gas emissions by 32 percent. This means $1 million in annual energy savings—money that can be reinvested into the college. As an example of our work, the college has implemented scheduling and space utilization software, simplifying the development of efficient schedules and the tracking of the use of space. 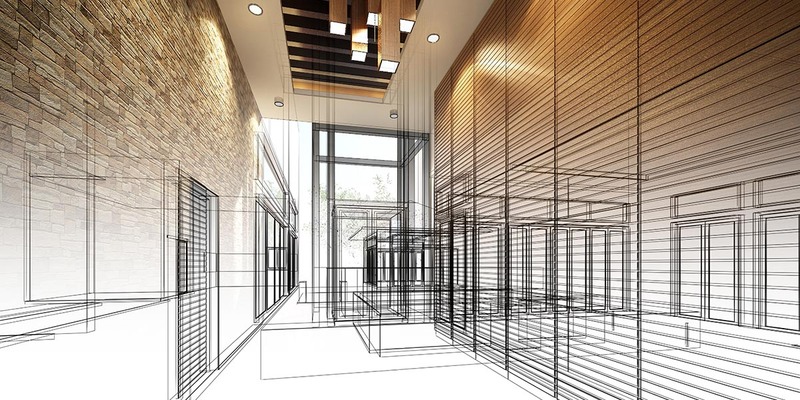 Effective use of space is key to running an efficient building. There are real energy savings to be realized and a need to ensure that the college does not heat and cool spaces that are empty. Since implementing our new software, the college has seen utilization improvement rates at several of our 13 campuses jump from 40 to 70 percent. Another example of our work is the Centre for the Built Environment (CBE), which was constructed in 2010, and is an example of an innovative design approach to space management. The college challenged itself to work with a reduced footprint, while still providing the learning spaces required for high-quality program delivery. To make these spaces effective, we used an integrated design approach, which meant ensuring that all the necessary people were at the design table from the beginning: academic chairs, curriculum development staff, facilities staff, construction managers, and an industrial process engineer. We designed open-concept spaces that could be flexible and quickly adapted for various programs. A detailed material handling process was put in place to cut down the need for fixed equipment, and overhead doors were installed between shops to support flexibility. Changing to more portable training aids was also required, along with specific infrastructure supports, including drop-down electrical connections and high-density racking systems. This year, NSCC is set to begin its next phase of major renovations. The CBE provided us with a new way of looking at space design and has allowed us to work through a similar integrated design approach, as we continue to develop and improve our space utilization processes. Faculty on many campuses oppose the move toward open-space office designs as a space management strategy, in part because they take the term “office hours” quite literally. Those are the designated times of day when professors and instructors occupy their private (possibly shared, preferably not) offices. While this has been a fine higher education tradition, the practice has significant impact on campus space management. To get a better sense of how office space is being occupied, work is underway to link office occupants to the university’s human resources database. “We want to start using metrics, such as the amount of office space per person, as a way to determine if facilities need to be renovated or reallocated,” Horne explains. Mixing it up. Michael McCormick, associate vice president, capital planning and development, at the University of Washington, Seattle, estimates that office and administrative space occupies about a quarter of institutions’ total square footage. “We’re working really hard on using this space efficiently,” he says. “For example, we have a project where we’re combining three different departments that often work together. Each department gave us a list of the number of offices they needed. We then asked, ‘Do you have names attached to each of these?’” It turned out that, for one thing, some faculty had double offices due to dual appointments. Meanwhile, The Tower, a 14-story building on UW’s campus, does have open office space. Initially, McCormick took the approach of calculating square footage per person, but found it “difficult to get anywhere.” Now, the university has adopted a different philosophy of modernizing and improving work spaces, in hopes that faculty and staff will be more amenable to the open-office model. At the University of Colorado Boulder, various stakeholders were asked to address the same set of questions during meetings held with the goal of getting broader input from the campus. According to Chris Ewing, assistant vice chancellor for planning, design, and construction, more than 800 lines of qualitative data from statements of more than 100 people, were gathered. Perhaps, these questions might serve as a model for developing your own “conversation starters,” as you begin or continue the dialogue about space management on your campus. In any given semester, is your department able to find sufficient classrooms to run all the courses and course sections it needs, and at your desired enrollments? What is your department’s strategy for addressing any problems that arise? Do you have recommendations for how the campus could help you in this endeavor? How does your department schedule classes? What works, what does not work, and why? What type of space do you feel is most lacking for your unit (e.g., office, classroom, labs, study, student, or faculty)? What are the stakes involved in a campus space management process? How should communication between faculty, staff, chairs, deans, and administration flow as we explore strategies for establishing such a process? What would inspire the most fair, transparent, and flexible solutions to our space management problems? Would you support a campus space management office? If so, with what level of authority?